Thank you to Keekaroo for sending me these awesome chairs! As always, all opinions are my own. 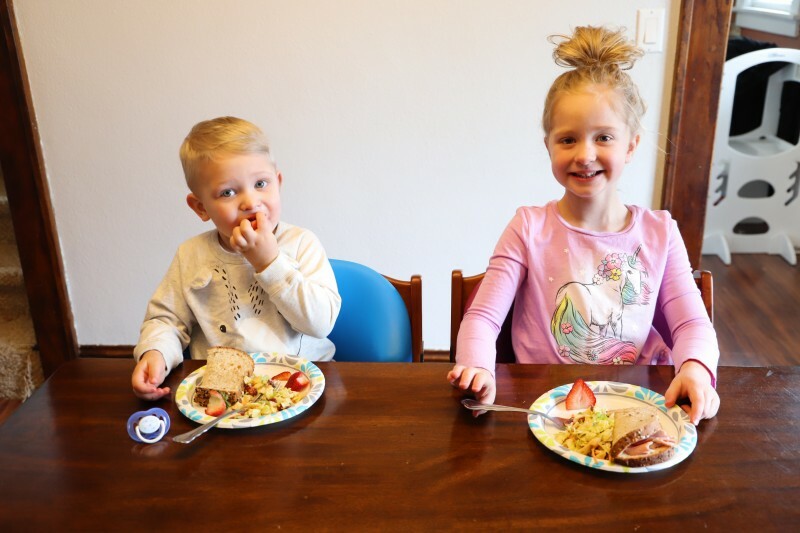 We’re at a transitional time when it comes to meals with our young kids. They’re not little enough for high chairs anymore (or at least not to sit comfortably in them) but regular chairs are just too big. They are constantly pushing away from the table, trying to sit up on their knees to get a better position, and spilling food EVERYWHERE. Plus, our table would seat six but only came with four chairs. That means when we have guests, even just a couple of people, we don’t have enough seating for everyone. 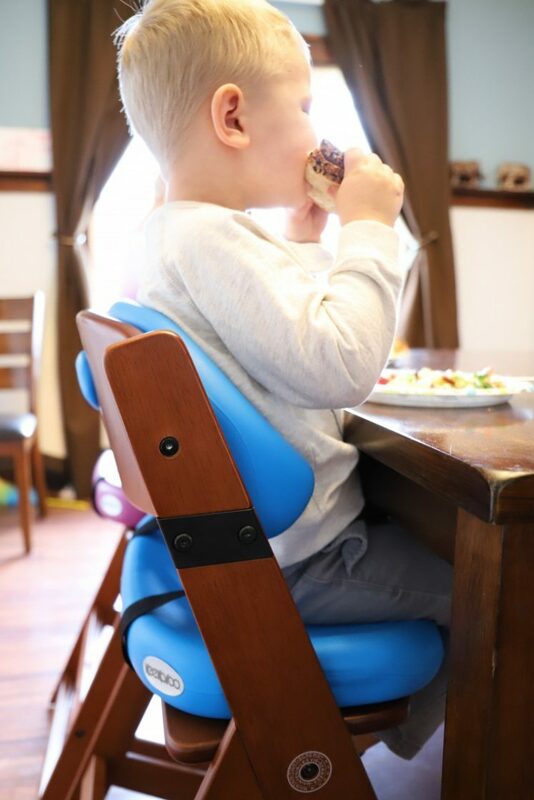 I decided to do some research and came across Keekaroo Height Right Kids Chairs, and they are the perfect solution! First of all, as you can see, we now have seating for six around our dining room table! 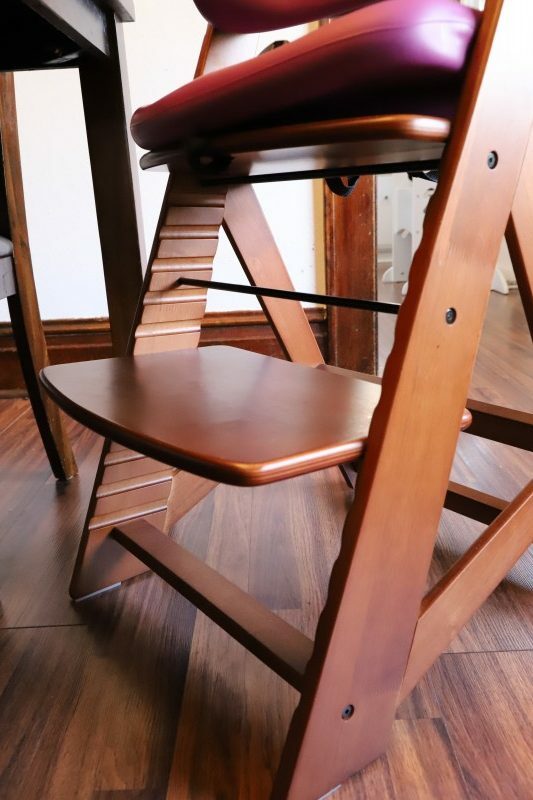 This is a huge game changer for us and means I can get rid of our old high chairs for good. Plus, we’ll no longer have to wheel an office chair into our kitchen for extra seating anymore! I went with the Mahogany stain and I think it matches our dining set perfectly. You can also choose from Espresso or Natural stain. These kids chairs were fairly simple to build using the included instructions. It took my husband less than an hour to build both and install the comfort cushions. These Height Right chairs are available with or without cushions, but for comfort we chose to go with them. They also provide a little added boost if you need to get just a bit more height to reach a table. 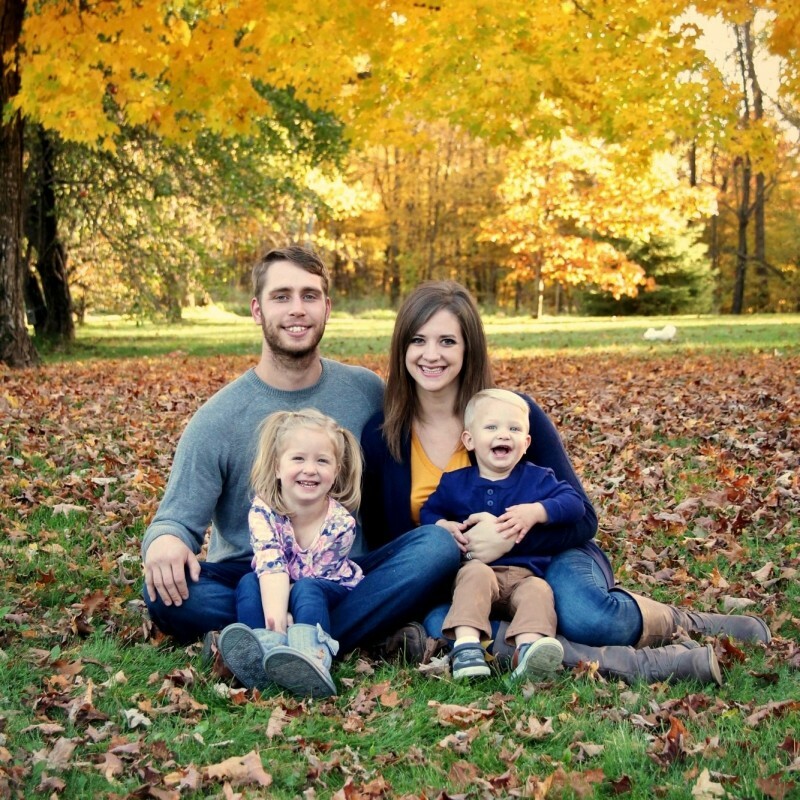 Our kids chose purple and blue but they’re available in a wide variety of colors! Now you may be wondering how adjustable these chairs are, and I’m happy to report that both the seat and the footplate are customized to our kids’ heights. During assembly, you’ll want to determine the best levels for each piece before putting the whole chair together. Ours are adjusted so the kids can sit at a comfortable height to our kitchen table and have a foot rest, too! I love the footplate option because we all know and hate when our feet “fall asleep”, and kids are no different! 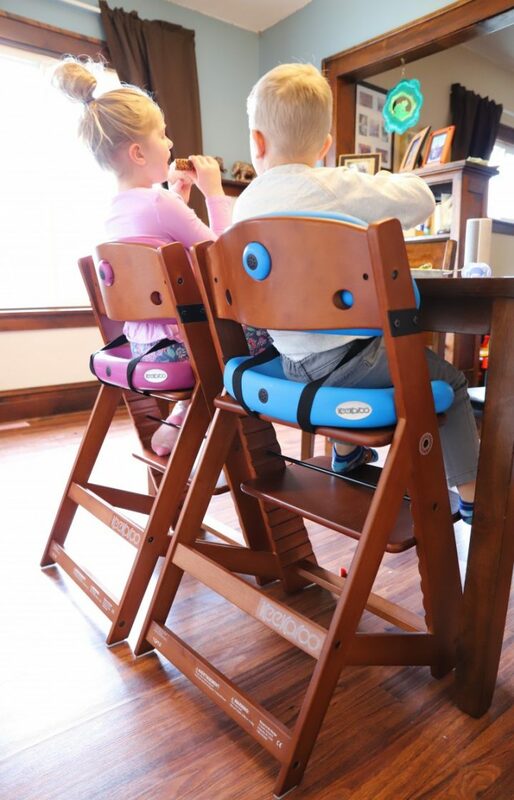 These Keekaroo Height Right Kids Chairs also come with foot pads to protect your floor! 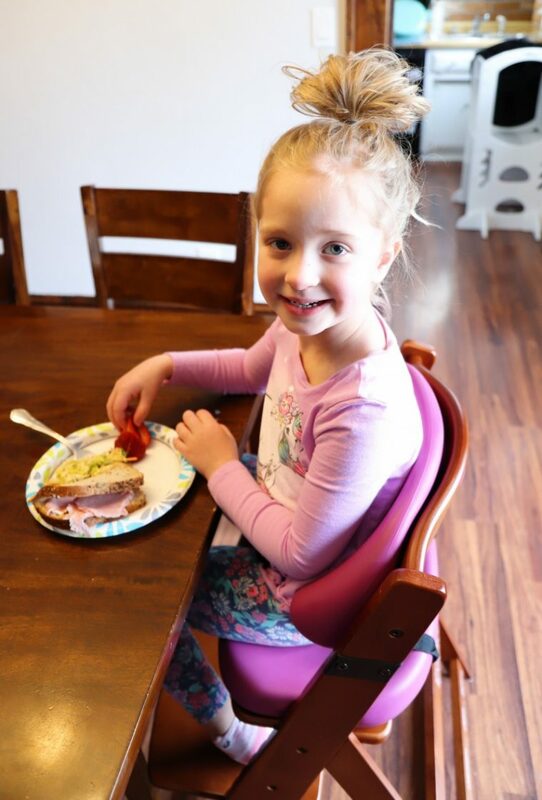 Since our kids are able to sit on this chair and tuck their legs directly under the table, we don’t have nearly as many spills as we used to! 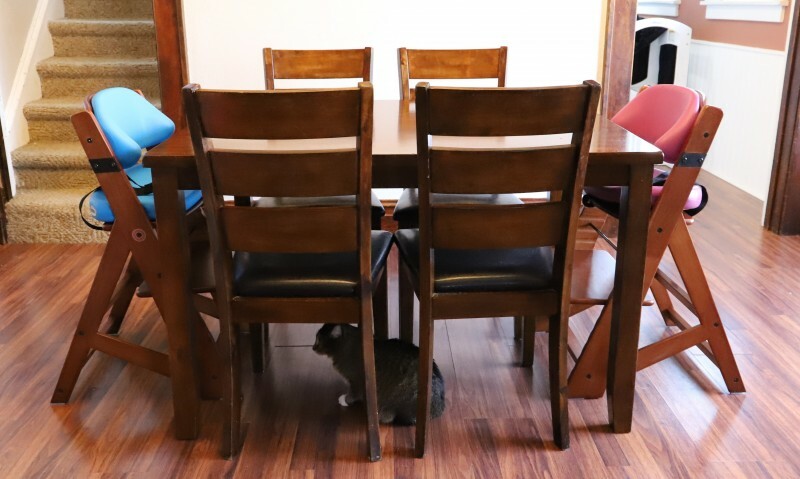 I’ll admit, I’ve gotten a little tired of saying “eat over your plate, please!” and I no longer need to because these chairs allow them to fit right up to the table. 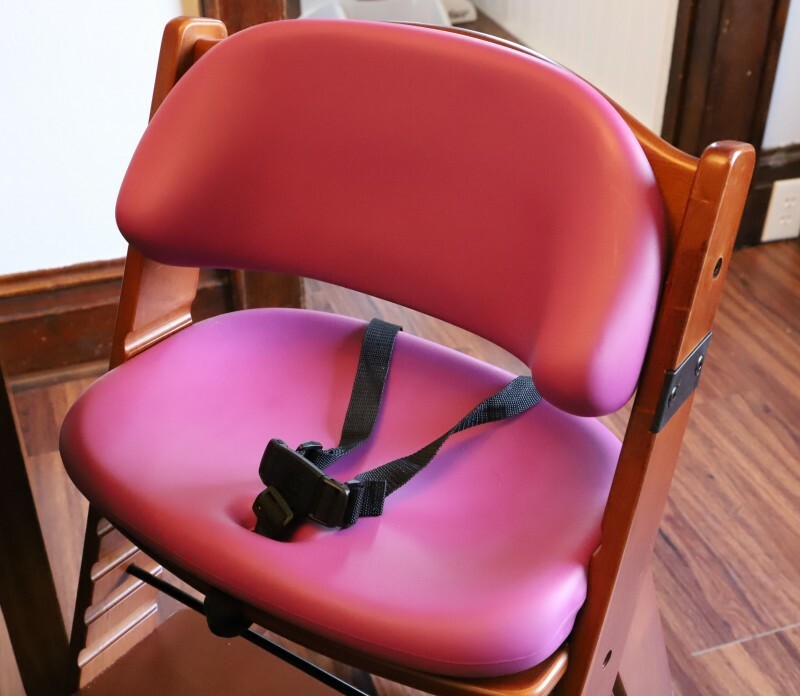 They’ve both remarked at how comfortable the chairs are, and they love having their very own seats with customized colors. One of the most fantastic things about these chairs is that as they grow, the chair will adjust for that. We can move the seat and footplate down, and once they’re too big for the comfort cushions we can remove those as well. The seats come with a three point harness so you don’t have to worry about your little one slipping off the seat. Plus, it may help you keep them at the table for meals, too! You may be wondering how easy it is to keep the chairs clean, and it’s really very simple. The comfort cushions can be easily removed for washing, and they’re peel-resistant, tear-resistant, and impermeable to liquids. I typically just wipe the chair down with a wet, soapy rag after meals and they still look brand new. Want to hear another thing that’s amazing about these chairs? They’re rated for up to 250 pounds! That’s right, grown adults can sit on them and use them at the dinner table, too. We now permanently have six chairs at our kitchen table and I am loving it. Everyone who has visited since we received these chairs has remarked on how cool they are! 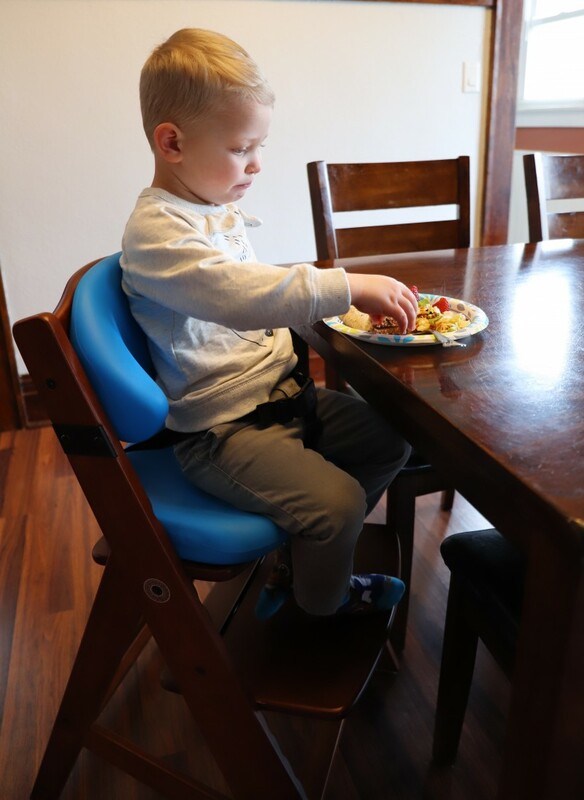 The Height Right Kids Chairs make the transition from high chair to a regular chair so simple. Plus, they can be used through adulthood which makes them so valuable. Buy it: You can purchase Keekaroo Height Right Kids Chairs from various retailers as well as Amazon. Check out Keekaroo’s Find a Retailer page to find a store near you! 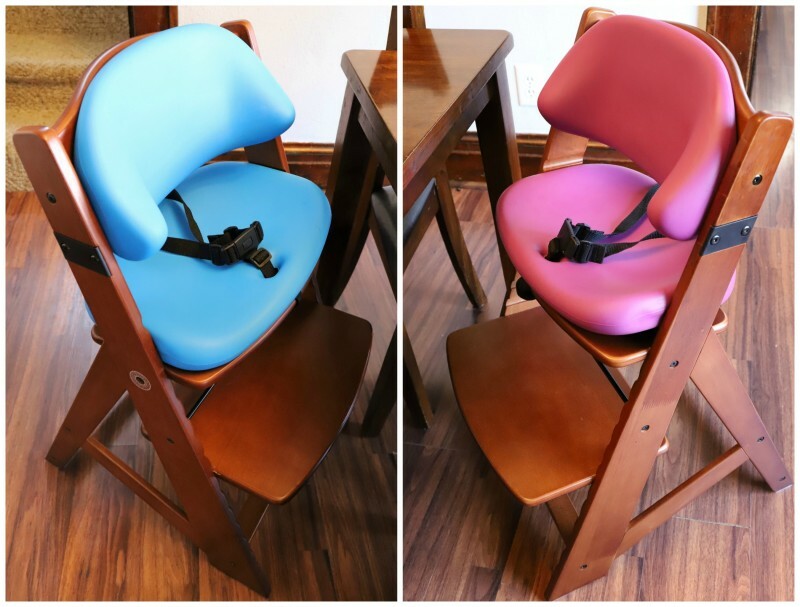 Win it: One lucky reader will get to take home a Keekaroo Height Right Kids Chair with Comfort Cushions, in their choice of stain and cushion colors! This is a US giveaway ending 4/20. Enter using the Giveaway Tools form below, and good luck! Those would be great for growing families. Glad your kids think they’re comfortable. I really like the height right high chairs. It seems they have a lot of amazing products that really focus on the fact kids can grow quickly. I love that these chairs grown with the kid. Heck who knows someday they may want to take them with them for their own kids.